Hi Everyone and HAPPY HOLIDAYS to all! 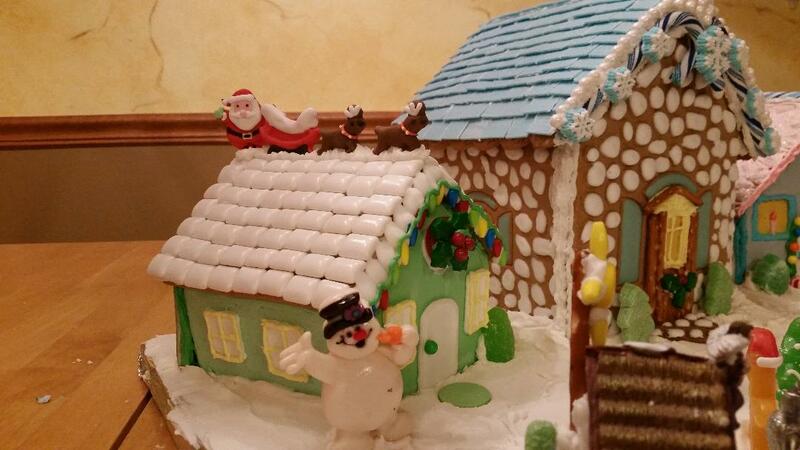 The answer to What does Area Rug Cleaning and community Involvement have in common is Gingerbread Houses (of course). Every once in a while it is nice to step back from the daily grind of business and do something fun, interesting and at the same time shows the community how important and enjoyable it is to be part of Prescott AZ. I know the holiday times can be an overload of hustle and bustle but really, if you can find just a few moments, grab the kids and grandma and grandpa too and head over to the Prescott Resort here in Prescott for an unforgettable Gingerbread Village which many local businesses, schools as well as our wonderful residents have put so much time and effort into. 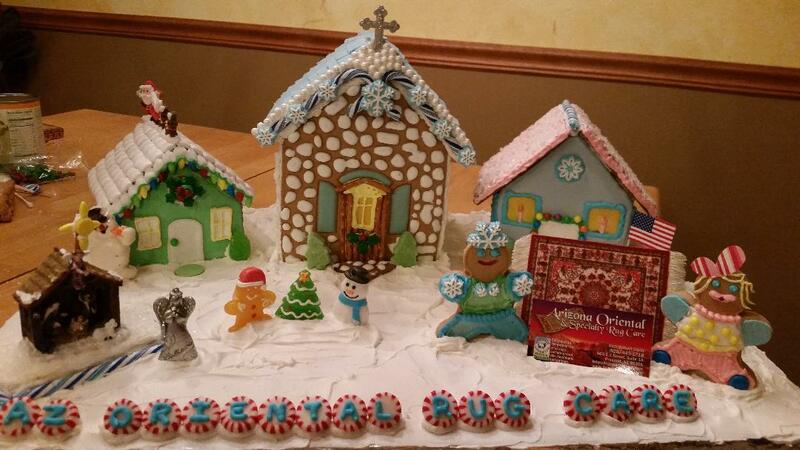 Many dedicating months to the baking, assembling and decorating their treasured gingerbread display. I’m always in awe of the really fancy gingerbread houses that have such great detail that I just stare at it and think “my gosh what patience these folks have to create such masterpieces”. I know because my little creation took about 25 hours – nothing compared to the hours others have dedicated to their gingerbread houses! So don’t miss out, come on out and check out all the Christmas Joy of a good old fashioned Christmas. It will surely get you in the mood for the rest of this wonderful season! Official Grand Opening will be this Saturday, November 25th – however I hear that the display will be set up by Thanksgiving, so this may be the perfect way of walking off the overstuffed feeling so many of us feel when overindulging in the feast of Turkey Day! AND it’s FREE! Everyone here at Arizona Oriental & Specialty Rug Care extends a heartfelt Happy Holidays to you and your family! Oh, and if someone has the misfortune of spilling on your area rug this party season, call us at 928-445-1718. You’ll want to have the spot removed professionally as soon as possible. You can also drop off your rugs to us at 565 EZ Street, Prescott. Our typical business houses are Monday through Friday 10:00 am to 4:00 pm however during the holidays it is best to call ahead to confirm as times will change based on holiday celebrations.